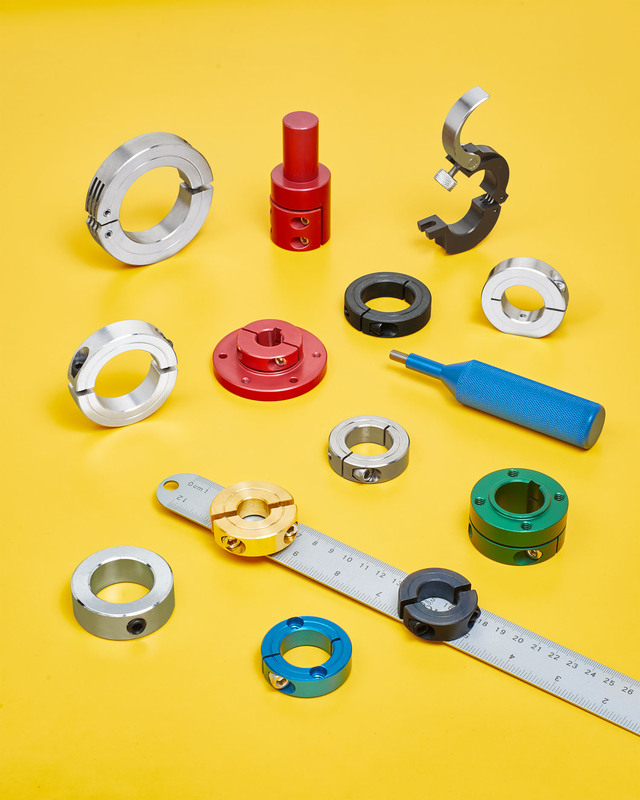 An expanded line of metric shaft collars, couplings, and mounting components suited for mechanical drive systems and structural applications has been introduced by Stafford Manufacturing Corp. of Wilmington, MA. Stafford Metric Shaft Components feature over 800 items including the Grip & Go™ quick release handle which can convert a standard shaft collar into a rapidly adjustable locating device and Staff-Lok™ Shaft Collars that reposition without tools. New items include flange collars, face mounting collars, and heavy-duty shaft collars and couplings. Available in 3 mm to 80 mm I.D. sizes, Stafford Metric Shaft Components are offered in aluminum, steel, stainless steel, and thermoplastics, depending upon style. Standard metric items include set-screw, 1-piece, 2-piece, and hinged styles along with couplings in 1-, 2-, and 3-piece styles, with or without keyways, and inch-metric shaft couplings and adapters. Stafford Metric Shaft Components are priced according to construction and quantity. Price quotations and samples are available upon request.